Parking: Ownership of 1 parking spot #2-066. The sellers rent a 2nd parking spot for $95.00/month. Inclusions: Fridge, stove, built-in dishwasher, microwave, washer/dryer, electric light fixtures, window coverings, built-in cabinets with 65” plasma HDTV (only 2 years old). Note: L shaped couch with 2 ottomans are negotiable for sale. This sprawling unit boasts 3 large bedrooms, 3 baths, elegant principal rooms, a chef's kitchen, and comfortable, spacious entertaining space throughout. Ownership of 1 parking space with rental option for a 2nd and exclusive use of 1 large locker! 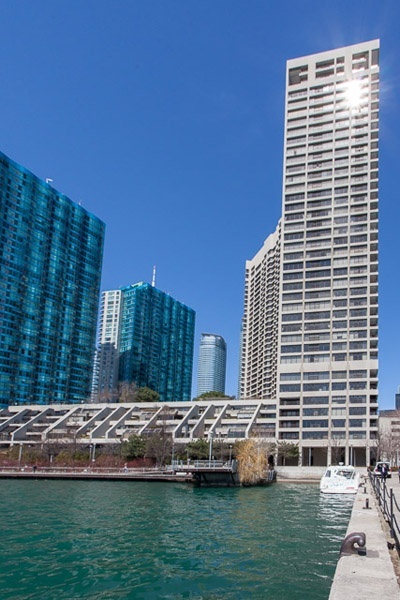 Conveniently located right in the heart of Toronto's Harbourfront neighbourhood. Partake in a cultural event, enjoy a leisurely stroll, exercise along the boardwalk, or enjoy fine dining on the waterfront. Just in time for Summer! Well run building with responsive condo board, winning Condo of the Year in 2009! World class amenities include a24hour concierge, onsite dry cleaning, shuttle bus service, visitor's parking, and a salt water pool to name but a few! Ideal for a family or "empty nesters" coming from a large home! Exceptional Condo Living & Features! Grand foyer has a double coat closet and a 2 piece guest powder room with marble counters & floors. Expansive living room with beautiful Brazilian tiger wood floors, panoramic windows & Juliette balcony overlooking the Lake. Large, formal dining room will host all your family gatherings. Floor to ceiling windows, Brazilian tiger wood floors and double French doors lead into the kitchen for ease of catering. Enjoy cooking in this big kitchen with ample granite countertops, stone backsplash and full pantry. Tiled floors make for easy cleanup. Updated 3 piece bath with marble counters, wet sauna, rain shower, hand shower and 6 body jets. Linen/toiletry closet. King sized master bedroom has a 4 piece ensuite with marble floors & counters! Large walk-in dressing room with built-in vanity area, broadloom and large windows overlooking the City. The 2nd bedroom next to the master has a Juliette balcony, large windows, double closet and broadloom. The 3rd bedroom is filled with lots of light as well from the large windows.Double closet and broadloom. Large laundry/storage room conveniently located off the kitchen. The Harbourfront neighbourhood serves as Toronto's playground by the lake . A unique blend of residential, cultural, recreational and commercial uses all within the same community! Enjoyed by all Toronto residents, as well as being a popular destination point for tourists . Explore the bonanza of nearby recreation! The Harbourfront has a powerboat and sailing school if you would like to try your hand at boating! There are two marinas where visitors can dock overnight if staying to enjoy the summer festivities. The Harbourfront also runs a popular children's summer camp . The Air Canada Centre, Skydome, C.N. Tower and the Harbourfront Antique Market are all located within this neighbourhood. The Canadian National Exhibition, the Marine Museum, and Old Fort York are all just minutes from Harbourfront, while the Toronto Islands are ten minutes away by ferry boat. Shop until you drop! The main shopping district is located along Queens Quay West with a mix being geared towards both the local residents and tourists. Queens Quay West is anchored by the Queens Quay Terminal, located at the foot of York Street, open seven days a week and features two floors of shops, galleries & restaurants. Conveniently located within walking distance of the St. Lawrence Market! Toronto's oldest and largest food market offering a cornucopia of culinary delights, including farm fresh eggs, exotic herbs, organic chicken and an assortment of fruits, vegetables, cheeses, deli meats, and seafood. There is a giant Loblaws located on Queens Quay at the foot of Jarvis Street. In addition to groceries and a pharmacy this three storey complex features a variety of retailers, a popular restaurant, and a community meeting place were workshops, cooking classes and public meetings are held. Vibrant school district! Island Public/Natural Science JR School, The Waterfront School Jk-8, Jarvis Collegiate, Northern Secondary School, Central Technical School as well as many private, Catholic and alternative schools nearby. Go green! Queens Quay West has both express and regular bus service right out your front door with connections to Union Station. From Union Station you can ride Toronto Transit or Go Transit lines to just about anywhere. PATH access is right across the street to Toronto's Downtown Underground Pedestrian Walkway! Motorists have easy access in and out of the city via the Gardiner Expressway and Lake Shore Boulevard. A short distance to the Toronto Island Airport! HarbourSide Condominiums is a vibrant community of 2,000 people in the beautiful buildings of 55 and 65 Harbour Square. 5 star first class amenities include: Salt water pool, change room facilities including family change room, weight rooms, cardio room, fitness classes, billiard room, squash court, yoga room, library/meeting room, lounge with bar, party/recreation room, movie and bridge nights, clubs, holiday themed parties, 2 large 7th floor roof terraces with 3 BBQ's, tables, lounge chairs. There is plenty of visitor's parking in the building for guests.